Entries close on Wednesday, August 10th for the Northwest Open at Wine Valley GC on August 22-24th. We still have amateur spots available. Federal Way, Wash. – In the upcoming August issue of Pacific Northwest Golfer magazine, the par-4 fifth hole at Wine Valley Golf Club in Walla Walla, Wash. is recognized as one of the “Great Holes of the Northwest,” one of just four holes selected each year by the Northwest’s largest and longest-running golf publication. Rated the number one handicap hole on the course, the long par-4 stretches to 475 yards from the Gold tees. It has a risk-reward challenge off the tee, with a gaping waste area that runs along the left side of the fairway challenging players to hit tee shots close enough to it to catch the speed slot and greatly shorten the sweeping dogleg-left hole. This hole has the largest green on the course, which slopes from left to right, so many approach shots hit left of the green will find the putting surface. “When it comes to the fifth hole, try to make par and move on,” says John Thorsnes, Wine Valley’s Director of Golf. Wine Valley has already been the site of several Northwest championships, including the Northwest Open in 2010, an event that will again be held there August 22-24, 2011. The club will also be the site of the 111th PNGA Men’s Amateur Championship, to be held July 9-14, 2012. Past champions of this event include Tiger Woods, Ben Crane, Jeff Quinney and Jim McLean. This year, Wine Valley Golf Club made its debut on Golfweek magazine’s “Top 100 Modern Courses” for 2011, and moved to the No. 2 spot in Golfweek’s “Best Courses You Can Play” in the state. The course opened in 2009 and was selected by Golf Magazine as one of the “Best New Courses” for that year. The course was designed by Northwest-native Dan Hixson, and is owned by Jim Pliska, who also owns Emerald Valley Golf Course in Creswell, Ore. For more information, visit www.winevalleygolfclub.com. With a direct-mailed circulation of 123,000 households, the Golfer magazine has been the voice of golf in the Northwest for 17 years. It is the only Northwest golf publication with a verifiable demographic of its readership. The Golfer is all about golf, and dedicated to golfers. 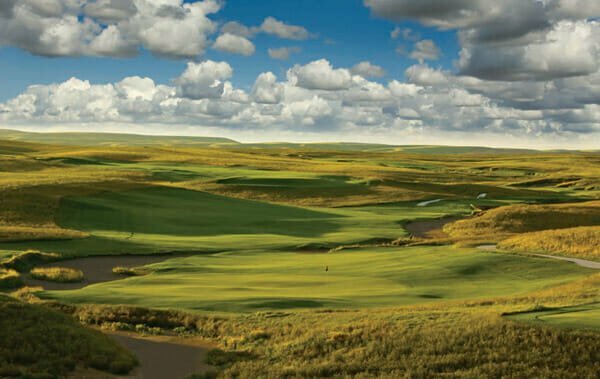 It is the official magazine of the British Columbia, Idaho, Oregon, Washington State and Pacific Northwest Golf Associations, as well as the Pacific Northwest Section PGA. Published by the Pacific Northwest Golf Association, a 501c3 charitable international amateur golf association, the Golfer is a member benefit delivered to those who utilize the USGA GHIN Handicap System through member clubs, either public or private. Visit www.pacificnorthwestgolfer.com for more information.